Holiday apartment to rent on Palo Blanco Tenerife with wifi internet, a Smart TV with satellite channels, a dishwasher and washing machine. 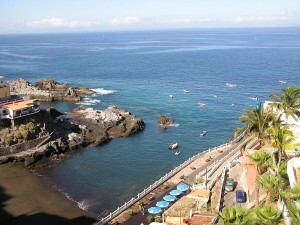 This holiday apartment to rent on Palo Blanco Tenerife is a real gem. The complex is situated in the San Eugenio Bajo area close to the Puerto Colon Marina. So an excellent location to start with. The complex has a heated swimming pool, also a very big plus. But the good things don’t stop there. This apartment also has wifi internet access inside the apartment. It needs this as there is a Smart TV in the lounge, so you can watch all the internet channels via apps such as BBC iPlayer as well as satellite channels. The kitchen is also very well equipped with a dishwasher – not to be found in many apartments. And there is a washer dryer in the bathroom. Also a very nice large stainless steel fridge/freezer, and a pyrolytic oven (very modern)! Additionally there is a walk-in shower for guests with mobility issues. 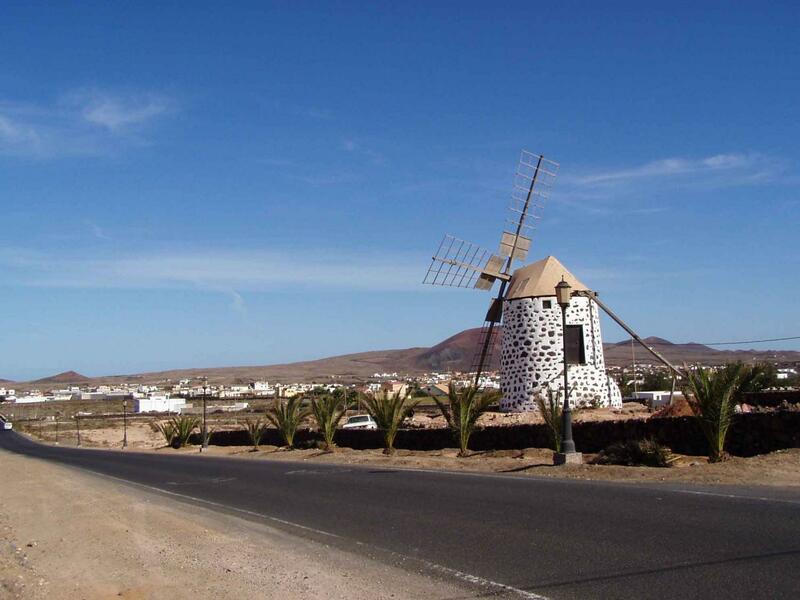 Situated close to the Pueblo Torviscas complex in Tenerife. This restaurant has been awarded the Certificate of Excellence on the TripAdvisor site and is rated no 3 out of 178 restaurants in Costa Adeje. 316 out of 386 reviewers rate the restaurant as excellent (top score). The restaurant is small and very popular, so it is advisable to book in advance. 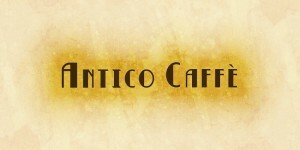 It is an Italian restaurant and is very reasonable in price. The staff are friendly and knowledgable about the wines and dishes on offer. The menu includes starters such as warm avocado, asparagus on honeyed ham with a poached egg in a parmesan basket or foie gras with caramelised onions and honey. Main courses include lasagne, spaghetti puglia, special risotto with rich red wine sauce and fillet steak strips, ravioli with 4 cheeses pesto and truffle oil, sausage risotto and butternet squash, as well as many fish dishes and a selection of tapas. This Port Royale two bedroom apartment to rent has fantastic sea views. There is a washing machine and the apartment has 2 bathrooms. This Port Royale two bedroom apartment to rent has a spacious balcony with fantastic sea views. There is a patio table and chairs as well as sun loungers. The lounge is comfortably furnished with satellite TV including English channels. There are two bedrooms and two bathrooms. The master bedroom has a double bed and the second bedroom has twin beds. The kitchen is fully equipped including a full oven, ceramic hob and a tall fridge/freezer. There is also a washing machine. 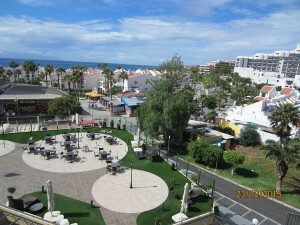 Situated in a shopping mall behind the San Marino complex in Los Cristianos. 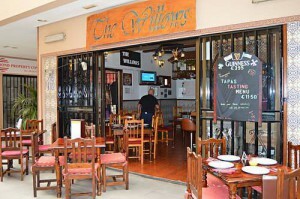 This restaurant is situated in a shopping mall behind the San Marino complex in Los Cristianos. The restaurant is open for lunch and dinner from 12 noon to 11pm Monday to Saturday and from 6pm to 10.30pm on Sundays. The restaurant is very highly rated on TripAdvisor. 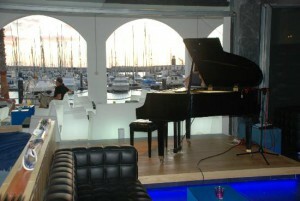 It is scored no 3 out of 300 restaurants in Los Cristianos and has been awarded the Certificate of Excellence. 324 reviewers out of 342 have rated the restaurant as excellent or very good. The restaurant serves mainly Spanish tapas. There is a Tapas Tasting menu for €11.95 per person. The plates keep coming until you hold up the white flag of surrender. They have also started to offer Sunday roasts for the British clientele, with fresh vegetables and homemade Yorkshire puddings. Vegetarians can also be catered for, but they should be advised to reserve a table ahead of time. The tapas menu includes: garlic bread, goats cheese plate, melon and ham, chicken salad, Spanish tortilla, garlic mushrooms, satay chicken, mussels in French dressing, scampi, king prawns, smoked seafood pasta, to name but a few. 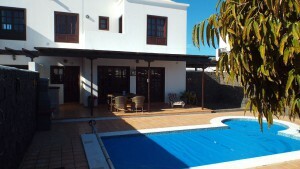 One of our holiday lettings on Santa Maria Tenerife. 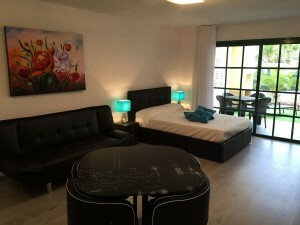 This studio has 2 single beds and a sofa bed and enjoys a lovely sea view. 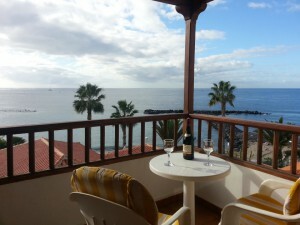 One of our holiday lettings on Santa Maria Tenerife, this studio enjoys great sea views. The living area has a sofa bed with flat screen TV with satellite channels including some English ones. The sleeping area has two single beds. There is a kitchenette with microwave, 2-ring hob, fridge, kettle and toaster etc. The bathroom has a bath with shower overhead, wash basin and WC. Restaurant and bar serving Spanish cuisine situated close to Santa Maria. Amandas Restaurant and Bar is situated close to the Santa Maria complex. 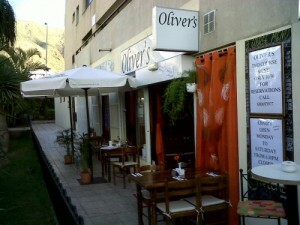 It serves Spanish cuisine and is very well recommended for the fantastic food and good value for money. Where else can you get a 3 course meal for €8.95 per head? The menu includes garlic bread, mixed seafood, tuna salad and prawn cocktail (with a generous amount of tail on prawns) for starters. Main courses include lamb chops, sirloin steak, calamari, pasta, chateaubriand, pizza and steak pork chops. For dessert the tiramisu is said to be excellent and also the fruit cocktail with homemade syrup. 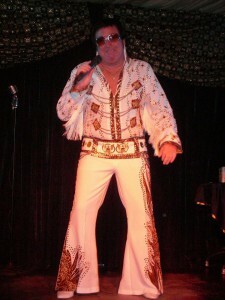 There is also entertainment at the bar from 9pm until midnight. The entertainment includes Elvis, Roy Orbison, Michael Buble, Showaddywaddy, Tom Jones, Boy George, Neil Diamond, Shirley Bassey and Abba, to name but a few. There are also party games and prizes. You can even win a free 3-course meal for 2! This bar is very popular and is usually quite packed. Amandas has some excellent reviews on TripAdvisor and it has been awarded the Certificate of Excellence. It scores 4.5 out of 5 for food, service, value and atmosphere. 118 out of 129 reviews rate the restaurant as excellent or very good. 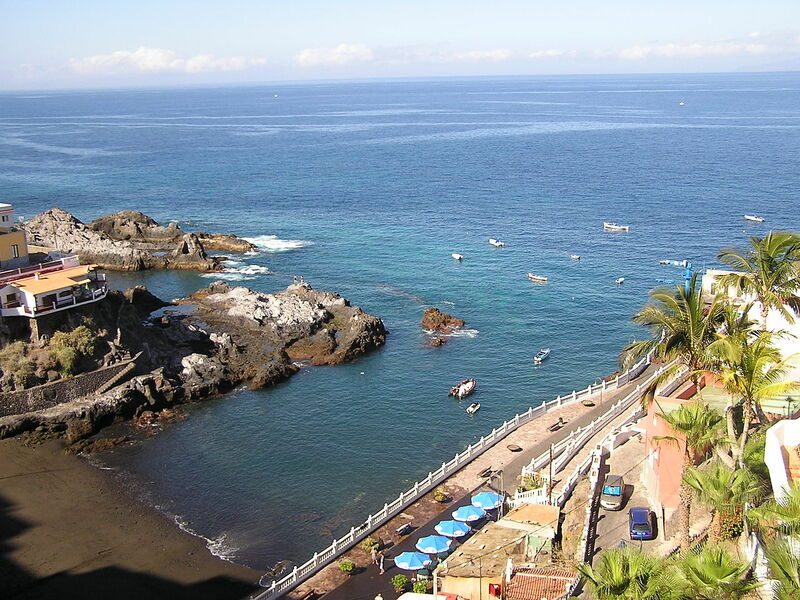 A two bedroom holiday apartment on El Beril Costa Adeje in Tenerife with lovely sea views. The bedrooms both have twin beds. 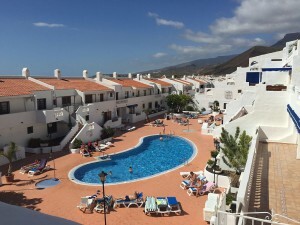 A two bedroom holiday apartment on El Beril Costa Adeje, which enjoys glorious sea views as seen in the photo on the left. Both bedrooms have twin beds. One of the bedrooms has access to the balcony through patio doors. The kitchen has a full oven and microwave, as well as toaster, kettle, ceramic hob and breakfast bar. A Spanish seafood restaurant next to the Altamira complex. A Spanish seafood restaurant next to the Altamira complex and just off the promenade, next to the sea. 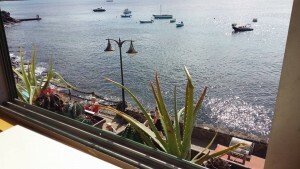 The restaurant enjoys great sea views. The address of the restaurant is Calle El Beril. The restaurant is open for lunch and evening dinners. There are comfortable sofas where you can relax while enjoying an ice cream or a beer, while listening to the live music. There is an open kitchen, which is always a nice sign of a good restaurant and a big glass chiller where all the meat and fish is on display. You can choose which cuts you want to eat. On TripAdvisor the restaurant has had several good reviews. Infact 16 out of 19 reviewers rate the restaurant excellent or very good. 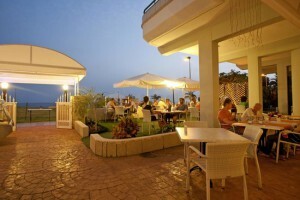 It is rated no 161 out of 398 restaurants in Costa Adeje and scores 4.5 out of 5 for the food. The menu includes mixed meat and seafood paella, mussel marinera, chateaubriand, grilled squid, toasted tuna salad sandwich with chips, king prawn starter with pesto, cherney with papas arugadas, grilled seabass, duck dishes, whole leg of Segovia lamb, rib steak, t-bone steak, pizza and mixed grill with chicken pork steak and chorizo. A styllish modern holiday studio on Mare Verde in the Torviscas area of Tenerife. There is a double bed and a sofa bed, so the studio can sleep up to 3 people. This holiday studio on Mare Verde has been refubished to a high standard as you can see from the photos, by clicking on the link to the left. The living area has a sofa bed and dining table and chairs. So the studio can sleep up to 3 adults. The sleeping area has a modern double bed with bedside tables and lights. This area leads out to the terrace and garden through patio doors. In the garden there is a patio table and chairs as well as sun loungers. The modern kitchen has been equipped with hob, extractor fan, toaster, coffee maker, fridge and microwave. The bathroom has a walk-in shower, wash hand basin and WC as well as a washing machine. 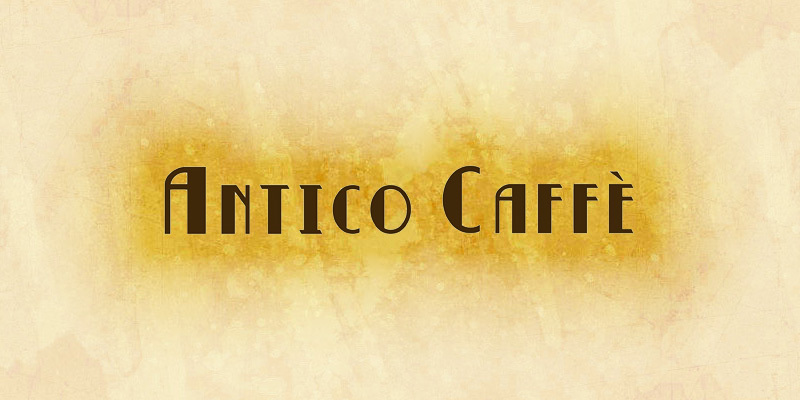 A la carte and tapas cuisine: situated near Sunset Bay. 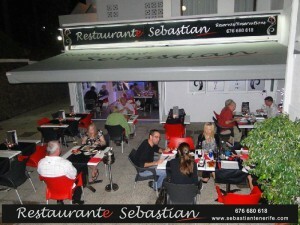 The Restaurante Sebastian is well known for great tapas and an a la carte menu. The restaurant is situated close to the Sunset Bay complex. There are fine wines and champagnes on the wine menu as well as many bottled beers and Peroni on draught. The Rioja house wine has been hand selected for quality and flavour and is reasonably priced at just 12 euros per bottle. There is free wifi and a great atmosphere with gentle and sofa background music. Children are very welcome and are given a little play pack on each visit. Wheelchair users are also well served with easy wheelchair access and toilet facilities. The menu includes warm tapas such as salmon and lime fishcakes, crepe filled with duck in sweet and sour sauce and baked red peppers filled with sea food. Or salads and cold tapas such as melon with smoked salmon & king prawns and home made pate served with ciabatta toasts. Or fish dishes such as king prawns in cream of pineapple chutney and madras served with rice; and local Dorada with king prawns and fresh tomato in a lemon and butter sauce. Or meat dishes such as pork fillet with a mustard, apple and cider sauce; and half roast duck with orange & Grand Marnier sauce.